After tracking songs for what was once to become a new Lynch Mob album, it was drummer Brian Tichy who proposed the idea of bringing together George Lynch, Jeff Pilson and Mick Brown (The “Big 3″ of Dokken) for a project similar to what Heaven & Hell was to Black Sabbath. 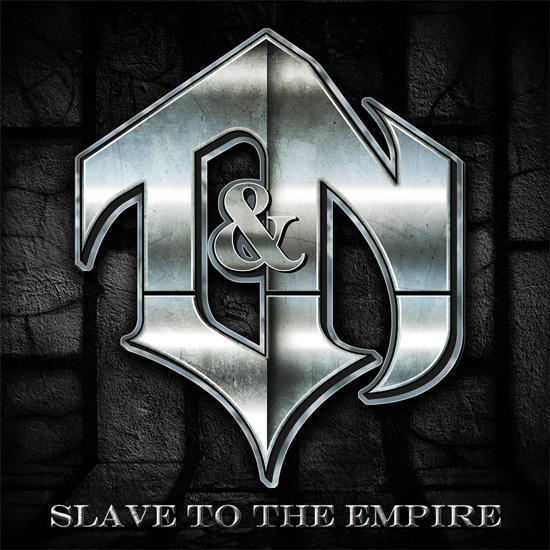 The result is T&N and a brand new album, Slave to the Empire. The new album is both melodic and thought provoking music with a purpose. The message being, you don’t have to be a slave to the empire. Featuring seven original songs (with Pilson on vocals) as well as five re-recorded Dokken classics with vocal performances by Tim“Ripper” Owens, Doug Pinnick (Kings X), Sebastian Bach, and Robert Mason (Warrant). Slave To The Empire also adds to the mix the hard hitting, multi-talented drumming of Tichy as well. A second album of new material and classic remakes of Dokken material is slated for next year that will also coincide with a tour. I spoke with George Lynch to get his thoughts on Slave to The Empire as well as his other passion: the documentary “Shadow Train”. Read the rest of my Guitar World interview with George Lynch Here.